Just when we thought climate change had finally made us all safe from those damn penguins and their relentless marching forever, Hulu’s here to dash our hopes and dreams. 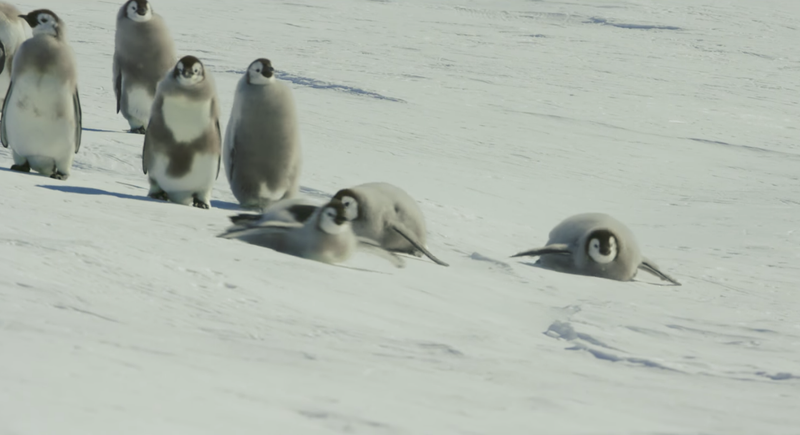 The streaming service released its list of upcoming content for March today, and, wouldn’t you know it, here’s documentarian Luc Jacquet with his new Hulu Original Documentary, March Of The Penguins 2: The Next Step. It’s not all pebbles and fish regurgitation on Hulu’s docket next month, though; the service is also offering up the first season of its police procedural/end-of-the-world conspiracy thriller Hard Sun. The potential of that genre mash-em-up premise was intriguing enough to land the series on our Most Anticipated TV of 2018 list, so you might want to check it out when it debuts on March 7. Meanwhile, Hulu’s also grabbing new seasons of AMC’s oil saga The Son, and the first season of Swedish comedy import Veni Vidi Vici. It’s also losing a couple of top-notch films—A Fish Called Wanda, Blazing Saddles, and The Hurt Locker, among others—at the end of the month, so be sure to check that out before they march away—just like a bunch of penguins.